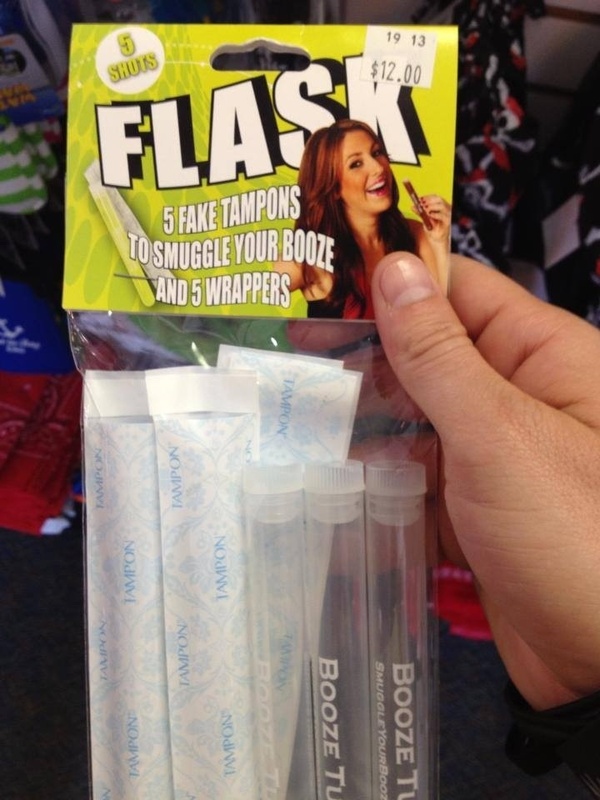 You know how much I love finding ways to sneak booze into anywhere... now there are a couple more genius ways to make it happen. Most of them are for my ladies. 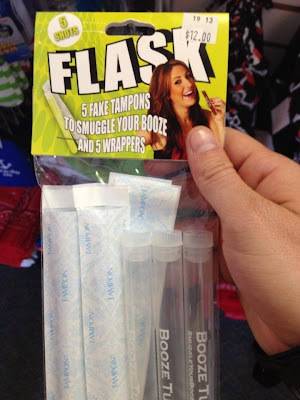 No one will ever question whether or not it's tampons you have in a tampon wrapper, unless it's some bitchy woman who's just jealous you get to drink and she doesn't. Dudes won't know what each wrapper looks like, nor do they wanna come closer than 10 feet from them. You can buy them for 4/$10, but I was also thinking it'd be pretty easy to make. I bet you can find a bunch of those tubes at a dollar store or Walmart, then just use real tampon wrappers so NO ONE questions you! Badabing! Also genius, because this can go pretty much anywhere too. 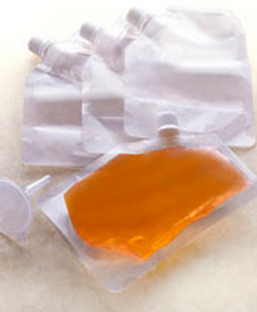 And here's the thing... you could buy this diddy and the funnel for $10, or you could just empty/wash out your bottle when you're done with it! You could even cut off the fat end, empty it, then melt it with a lighter. BadaBOOM! Happy drinking and saving money, y'all.